This worksheet contains 18 conversation cards, an proverb box and two matching exercises. The cards can be cut out if desired and be used as conversation questions. Can be used with both young learners and adults (elementary to intermediate). The above printable, downloadable handout is a great resource for business/professional students, high school students and adults at Pre-intermediate (A2), Intermediate (B1), Upper-intermediate (B2), Advanced (C1) and Proficient (C2) level. 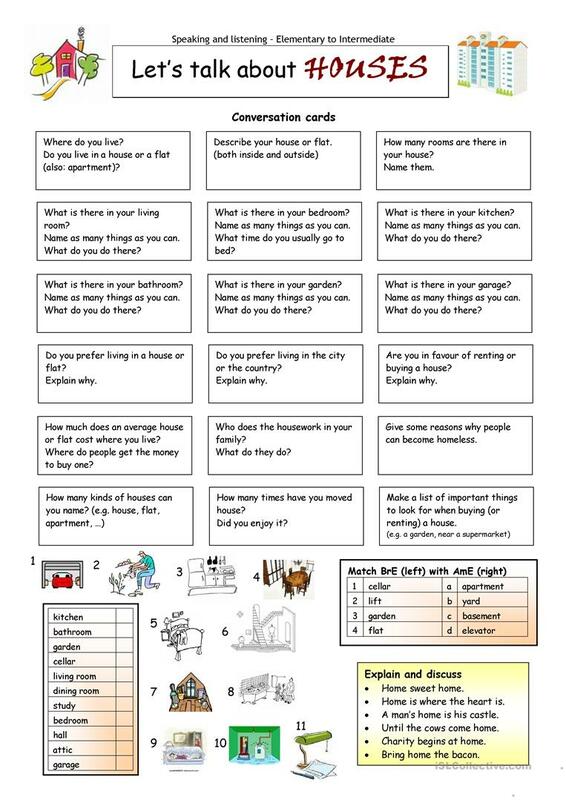 It is great for consolidating Questions in English, and is excellent for strengthening your students' Listening and Speaking skills. 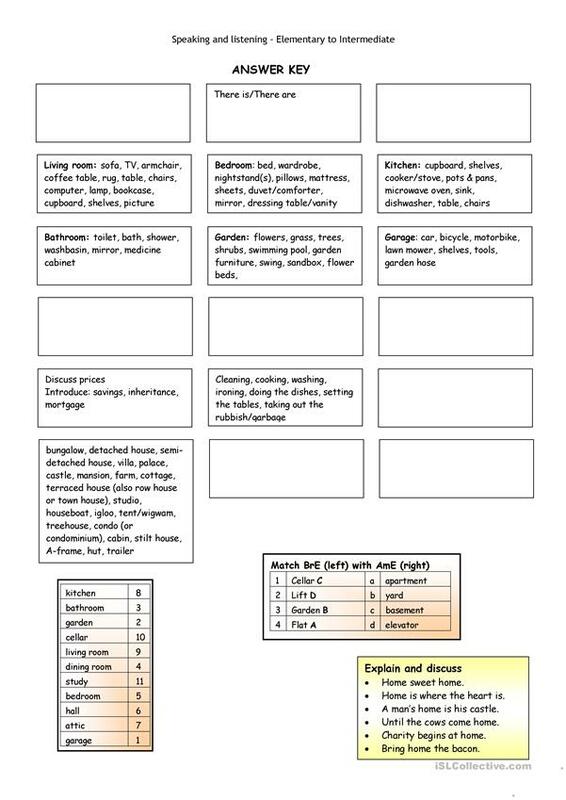 It features the vocabulary topic of Home. The exercises come with the solutions.